c. Click Alert and select one or all 3 offered: SMS/E-mail/Twitter and put in your info. Also select how many times you want to be alerted when GT is played. I chose "Every Time when available to select. Most Either 1 or 3 Times! 3. Click Alert and select one or all 3 offered: SMS/E-mail/Twitter and put in your info. Also select how many times you want to be alerted when GT is played. Option 1 or 3 Times! * Hover over Adam's Original High Photo and you will see link to iTunes SA and option to Tweet! Click to Buy #iTunes and Tweet Song to Twitter! * Just Click on the Star to Vote. Also would nice to listen to "GhostTown." I don't know if they are counting plays. Ghost Town Video Now at VH1 - View and keep viewing!!! GOLD = MINIMUM 35,000 SALES!! WOW!!!!! GHOST TOWN HAS NOW HIT 'GOLD' SALES IN AUSTRALIAN OFFICIAL ARIA SINGLE CHART!!! Hi everyone! so busy requesting, voting and keeping up with what's happening with Adam. Keep streaming TOH and streaming GT video. I just want everyone to listen to album. It is so spectacular,. Adam's best album to-date! Wish I could lock the world in a room and make them listen! I know they would love, buy and stream! How does Adam crack UK radio? Can't believe they rarely play GT. Heard TOH yesterday on BBCRadio2! God it sounded amazing! Hoping when he goes back to UK to promote, things will change. Hitting the Hot list every day. If anyone has more outside U.S. links to vote/request, let me know. Hi voting buddies, sorry for MIA here, I'm voting & streaming. Thks Ro for reminder of EUROPA. So many votings & Fav/RTing articles for popularity also important, never enough time. Fair enough. Your are right. Ro! not even bothering with this! So exclusionary1 We should not have to write Ghost Town in! Writing in "Ghost Town" for Best Video.. again and again. We can only try. There are so many places to vote and so few of us. I was voting a lot on Ryan Seacrest because he was on two charts. I thought it would mean more airplay because he was winning easily. It's hard to read all the great reviews and accolades for Adam and witness the poor sales. I will never understand it. I hope outside the USA he does a little better. I've been busy but will try and do some voting. I thought his stint with Queen would only help him but apparently not although he did better in the UK than he has in the past. Hi Ro! There are too many places to vote and request radio! As you know there are only a certain amount of pro-active fans and we are spread too thin at this point. Have to choose which is important like the AT40 CHR and requesting radio! Exciting about Europalus. Will start voting once a day. Voted a few times when I saw a tweet with link! Already on the Hotlist, but will try to Tweet it out ea. day! Looking forward to Official Billboard tomorrow. But: what has happened to Artist of the Summer? No-one voting..
Any plans for the release date tomorrow? I will be tweeting #TheOriginalHigh early in the morning...trying to stream on Spotify and watch the video on you tube. I will buy a couple copies since I haven't received mine yet. I am loving the new album. Can't wait for my copy to arrive. I hope the songs on you tube don't hurt his sales, but I think anyone listening is worthwhile. I can't pick a favorite. Hi Roro, Thanks! So nice to see you here. If you were able to view at the Top 20 pg, try Monday to see if the list has been put up! Hi all, OMG! I'm loving the Finland LiveAid performance too, it was superb!! and all the interviews, soo good and he's so gorgeous!!! Barb, I'm trying to stream VH1, but that link looks different now and I can't get that vid to play, it's the same link that showed GT at #17 last week, but looks different now. Where's he at now on VH1 Top20? 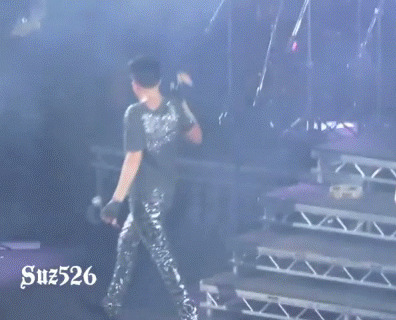 Barbls: loving you video of Adam's Ghost Town at Finland's Live Aid. OMG! OMG! Another Lonely Night and Evil In The Night and Underground and Ghost Town! I am going crazy! I can't stop listening over and over! Beyond expectations! Spectacular!! I'm MAD about all of them! No more same old! Adam really has set the bar! These are so fresh sounding1 Lyrics are amazing and that voice! Can't get over how utterly amazing they! I know The Original High is going absolutely kill me! That will be it, but what a way to go!!! I'm looking for information on Shazam.....I'm not familiar with it. I think we're supposed to be visiting this sight and/or giving GT hits. Does anyone know? Haven't heard anything in a while from anyone. I just bought his new song "Underground" on iTunes. It is pretty good. Now he will be on GMA on June 19 in New York. I hope there are more TV appearances to come.